Our company has passed ISO9001:2000 National Quality Management System Certification and ISO14001 National Environmental Management System Certification. Packing fashion:5 double pieces(the diameter of coil is 146mm,138-140mm or 133mm) within a poly bag in one colorized box, five metal stands in one box, sixty boxes in one carton.. The climate of West Africa is influenced by the Atlantic, the India Ocean and the Sahara. Many country’s rainy season is long. It is high temperature and wettish. Mosquitos multiply rapidly with kinds of virus to diffuse . 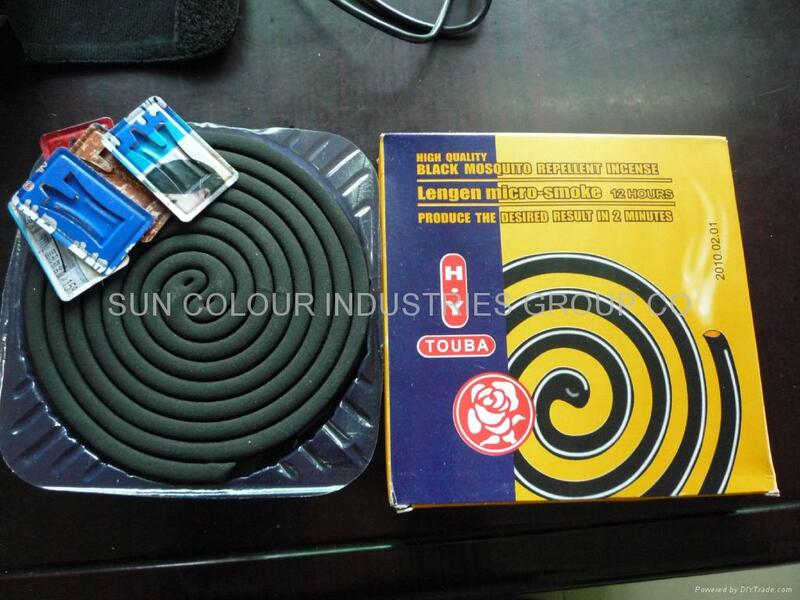 Accord to the condition and climate of different countries in Africa, mosquito coils are produces with strong effect, drive off mosquitos specially good effect, people can defend infection of the virus.